We would be lying to you if we said that you can not use any old backpack to carry your gym essentials in. You could, but that is not the right mindset to have. When you own a gym bag it gives you a motivational boost, that extra kick you need prior to hitting the gym. So, when it comes to gym bags, our best picks for 2018 can be found down below. Make sure to check them out! 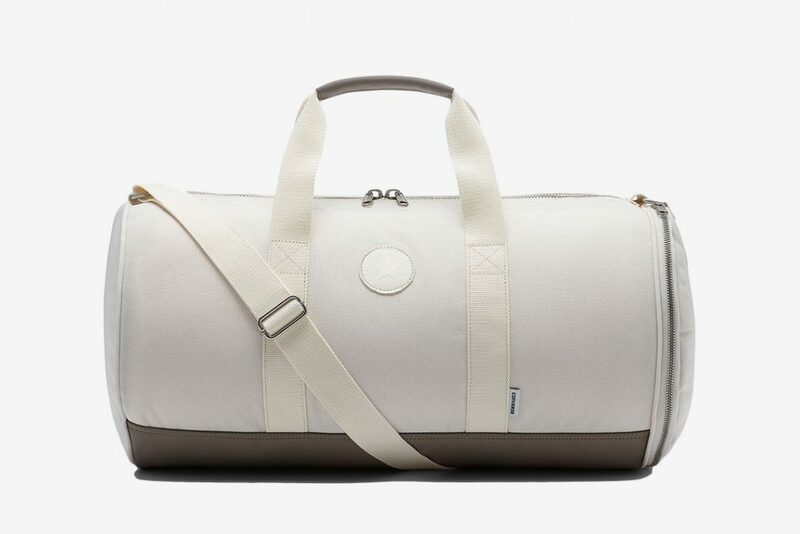 Converse Duffel reminds us that gym bags can, in fact, look very elegant and stylish. It is made from 100% coated cotton canvas which makes it extremely durable. The bottom of the bag is rubberized in order to reinforce it, the carry straps are reinforced, and both the main and side compartments are zippered. With it, you also get a sneaker garage. For a bag that costs no more than $60, you get the best possible value for money. 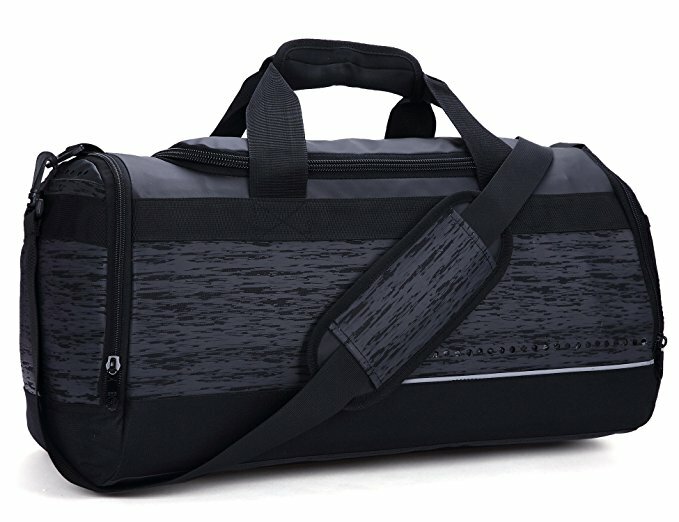 Therefore, if you are on a tight budget but are yearning for a decent gym bag, the Converse Duffel could be the one for you. Most of you are probably familiar with Patagonia. It is one of the leading manufacturers of outdoor gear. When a company with such a pedigree creates a gym bag, you know that it will be as durable as can be. 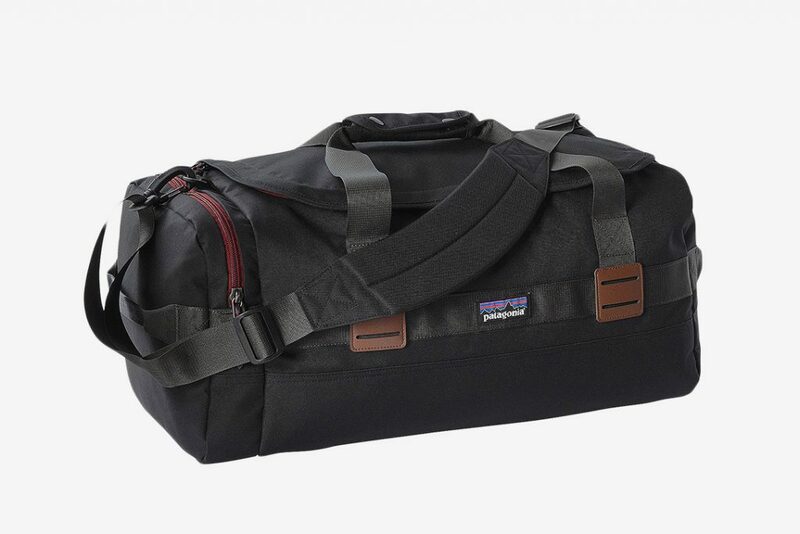 Made from recycled polyester and DWR (durable water repellent) coated, this duffle bag promises to keep your gym essentials safe and dry through all weather conditions. The U-zip main compartment makes accessing your belongings easier than ever and the padded bottom and shoulder straps allow you to carry it with comfort at all times. Like the Converse Duffel, it is relatively inexpensive and retails for $79. If minimalism is your life’s philosophy, then you will find this Joshu+Vela duffle bag very attractive. Apart from using it as a gym bag, you can easily take it to your next summer destination because it is designed to look amazing on all occasions. The bag is made from 18-ounce cotton, has vegetable tanned US bridle leather straps, as well as solid copper rivets. Of course, the zipper is American made. It is an all brass heavy duty YKK zipper. 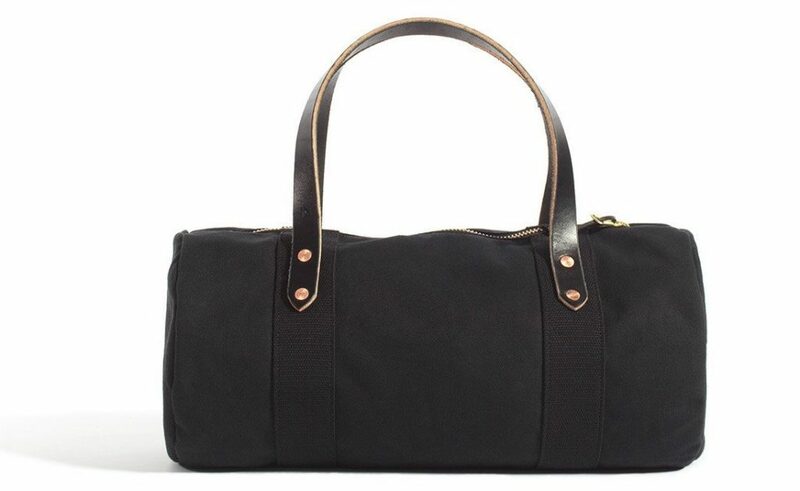 The small duffle comes in two colors – black and natural. Both versions are priced at $158. Not exactly cheap, but it is a small price to pay for such a universal bag. 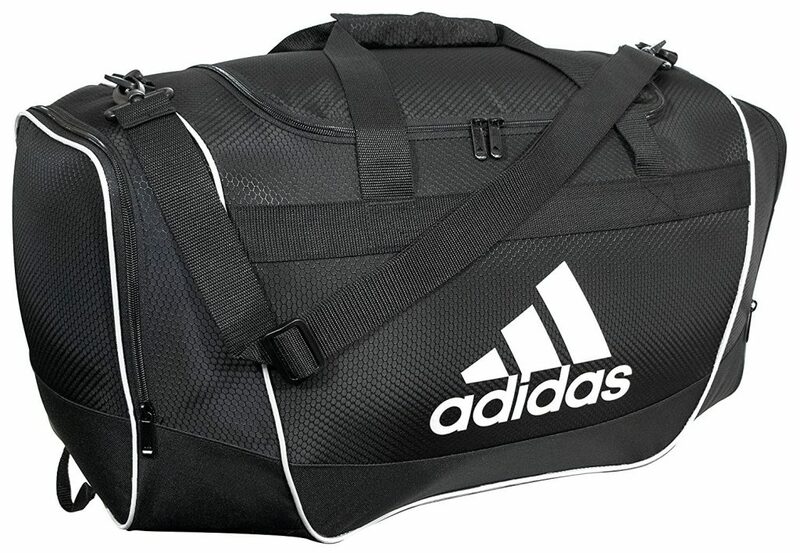 All of you looking for a proper workhorse gym bag, here is the good old Adidas Defender II. We understand that gym bags are not meant to be treated gently. We sling them all across the gym, push into gym lockers, jolt in car trunks, you name it. That is why the Defender II makes a great investment. It is made from a reinforced ripstop material, has a very spacious main compartment, as well as two zippered side pockets. Lifetime warranty? Sure, why not. Priced at only $30 the Defender II is, at least for us, a no-brainer. 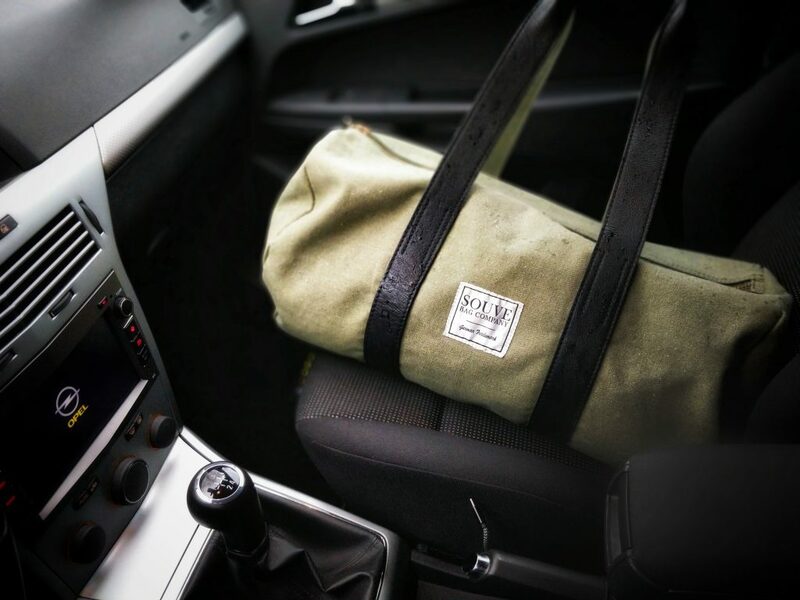 This Mier duffle bag lets us all know that a limited budget does not exclude the possibility of acquiring a decent gym bag. It retails for only $22. Depending on how much stuff you have to carry, you can choose between a 40L or a 50L version. The main compartment contains a ventilated shoe garage which helps keep away dirty gear from the clean stuff. Keep in mind that this bag is very comfortable to carry around due to its neoprene handle and non-slip padded shoulder straps. 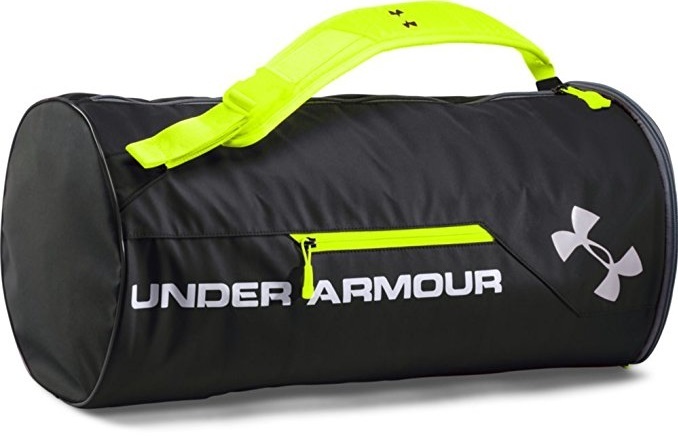 Made from 100% polyester with DWR finish, the Under Armour Isolate duffel bag is perfect for all gym rats who live in places where it tends to rain. The padded shoulder strap makes it very comfortable to wear and it is equipped with a quick release buckle. Both the main and side compartments are zippered and very easy to access. The bag provides a great amount of breathability as well. With a price of only $50, this is a great piece of equipment if you are on a tight budget or at the beginning of your gym journey.